Over the years of Micah Global facilitating integral mission conversations and dialogues around God's mission, a question keeps arising - What do we mean by church? There seems to be a growing need to explore this question and seek a way of answering it in a way that unites us for God's mission. 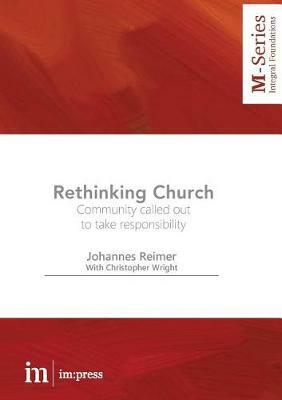 Micah invited Johannes Reimer to lead a working group on this question and it soon became apparent that instead of asking the question What is church? we needed to radically rethink church by exploring God's Word together and drawing out key attributes that we could all agree on. For grassroots transformation to take place we need grassroots agents of change - who better that God's people called out to take responsibility for God's world? Johannes Reimer was born and raised in the Soviet Union. As a young convert to Christianity, he spent two years in a labour camp in the east of modern day Russia. Dr Reimer teaches Missiology and Intercultural Theology at the University of South Africa (UNISA), from where he gained his DTh, and the Ewersbach University of Applied Arts in Germany. He is the Global Director of the Peace and Reconciliation Network of the World Evangelical Alliance (WEA). A former principle of All Nations College UK, Chris Wright is the international ministries director of the Langham Partnership, and the author of several books including The Mission of God and Old Testament Ethics for the People of God.